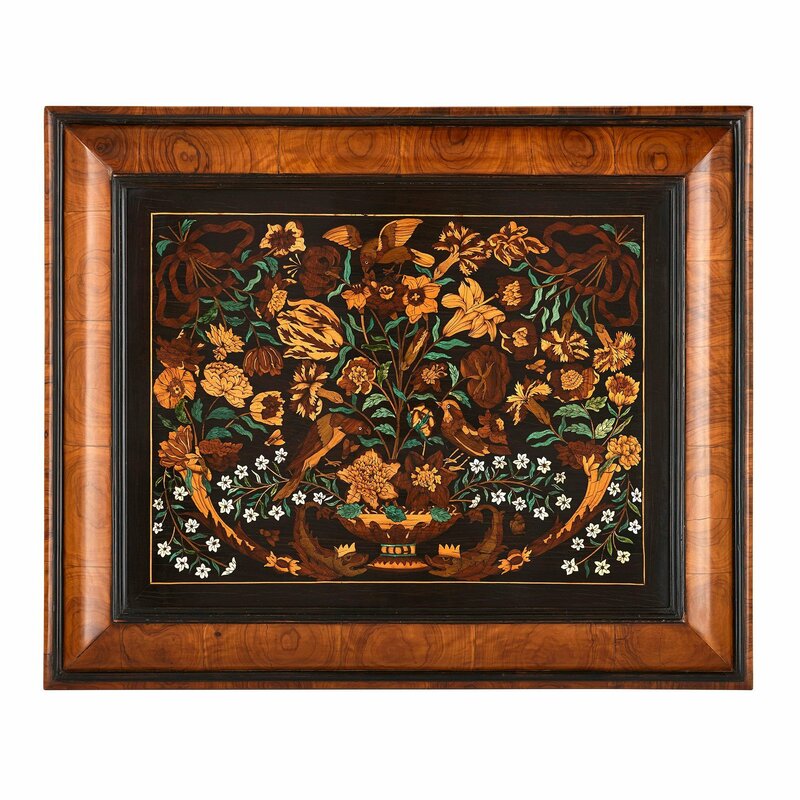 The exceptional detailing and brilliant colours on this floral panel makes it a supreme example of the intricate, highly technical practice of marquetry. 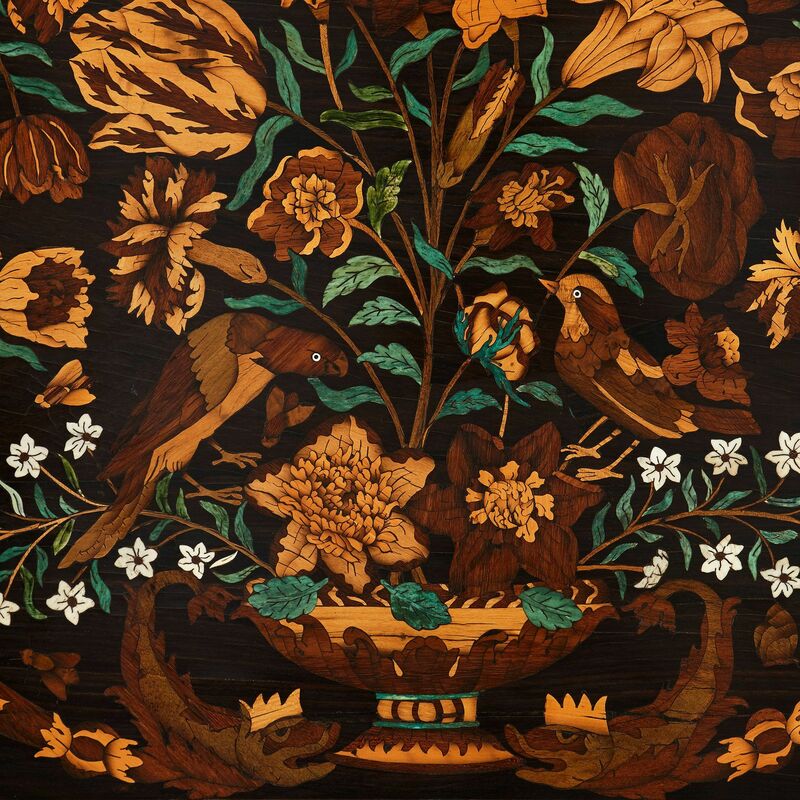 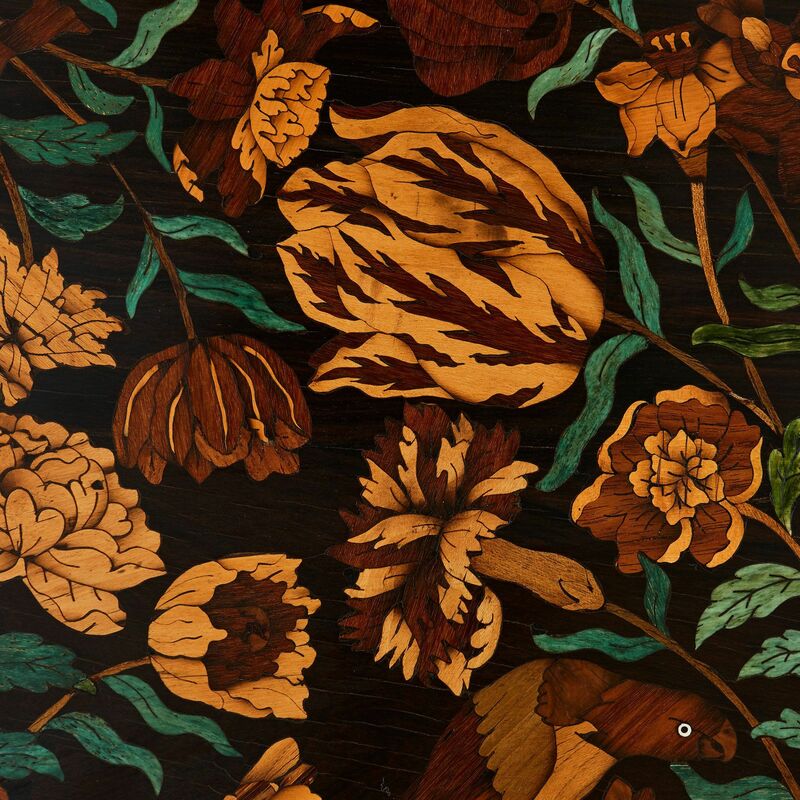 Marquetry, or wood inlay, is a centuries' old technique, practised only by the most accomplished craftsmen. 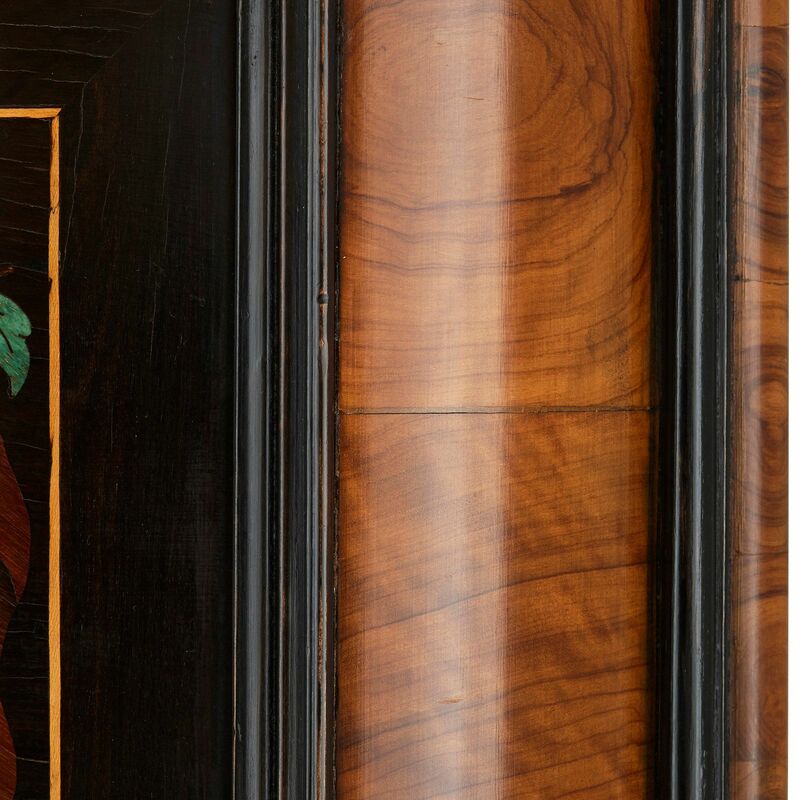 This fine panel is an excellent demonstration of the high level of skill involved in the antique technique and the spectacular results that can be achieved. 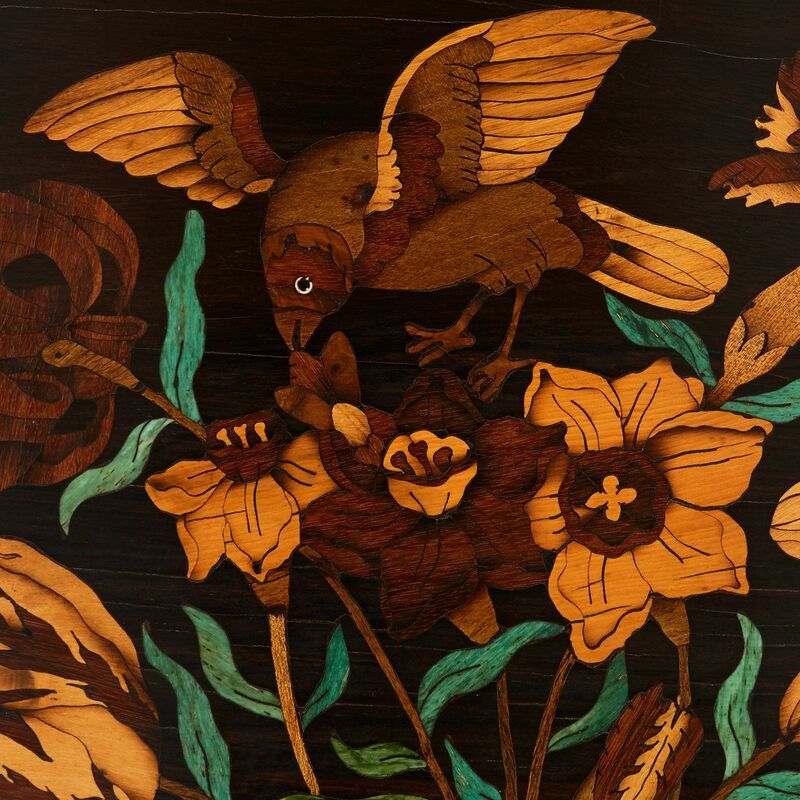 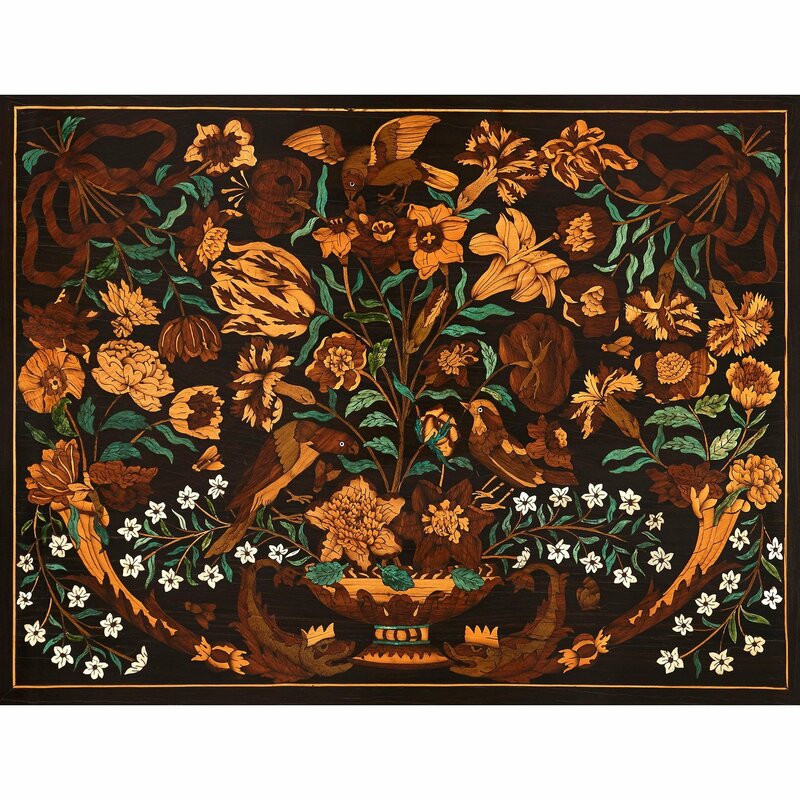 The panel depicts an intricate pattern of flowers, leaves, birds and mythical creatures, with each individual element rendered using small, differently-coloured pieces of exotic woods inlaid onto a partly ebonised wooden backing.